The spot for Murfreesboro TTA members & friends to come for weekly news updates. 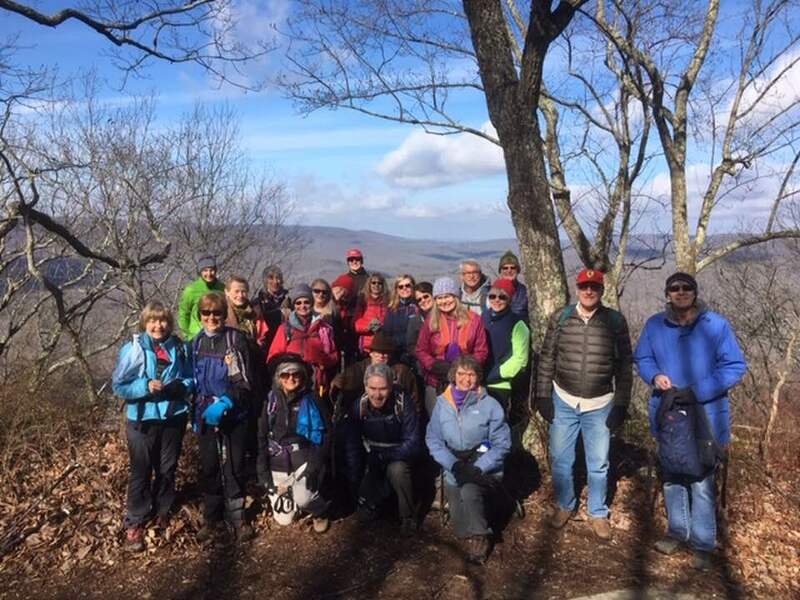 Saturday was a great hike with members of the Tennessee Trails Association. Four chapters were represented on this 7 mile trek from Stone Door Ranger Station to Greeter Falls. There was lots of water in the three falls (Laurel, Boardtree and Greeter) and lots of surprise creek crossings due to the recent heavy rains. For the first time, I witnessed Stone Door and the gulf all fogged in. There was no rain during the hike which is always a blessing. Folks from Murfreesboro, Highland Rim, Sumner Trails and Nashville attended. I don't know how many hikers we had but I think around 25. Marietta Poteet of the Highland Rim chapter led the hike and she was already on the second page when new member Georgeanne Ross and I of the Murfreesboro chapter signed in. This was a joint hike with Highland Rim and Nashville chapter. The weather was perfect and the unfinished Sherwood Forest trail is stunning! There are views all along the way and beautiful rock formations. The trail is white blazed for the first mile and then the pick polka dot flags and are easy to follow. There's already some stone steps in place and this will be a nice trail when it's finished. After the hike we had chili at the Poteets' house in Monteagle and everyone enjoyed the beautiful day hiking with other TTA members. We had 9 hikers to join us on the 5 mile hike to Horsepound Falls and back. 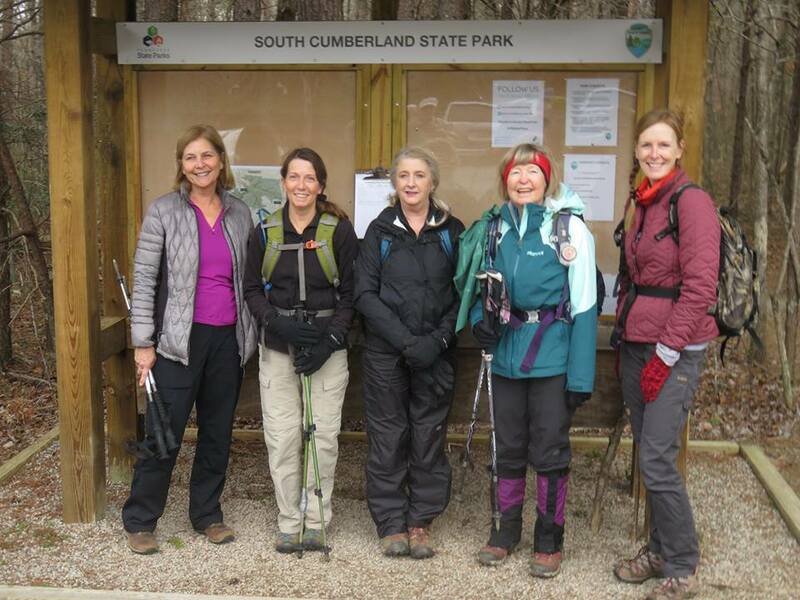 This joint hike with the Highland Rim chapter was led by Sara Pollard and Marietta Poteet. There was an 80% chance of rain for the area but the forecast was changed to the rain moving in around 2:00 pm. So that gave us enough time to hike in past Suter Falls and have lunch at Horsepound Falls. Temperature was barely 40 degrees but we warmed up quickly hiking over boulders and saw ice on the trail along the way. It didn't start raining until we were on our way home. 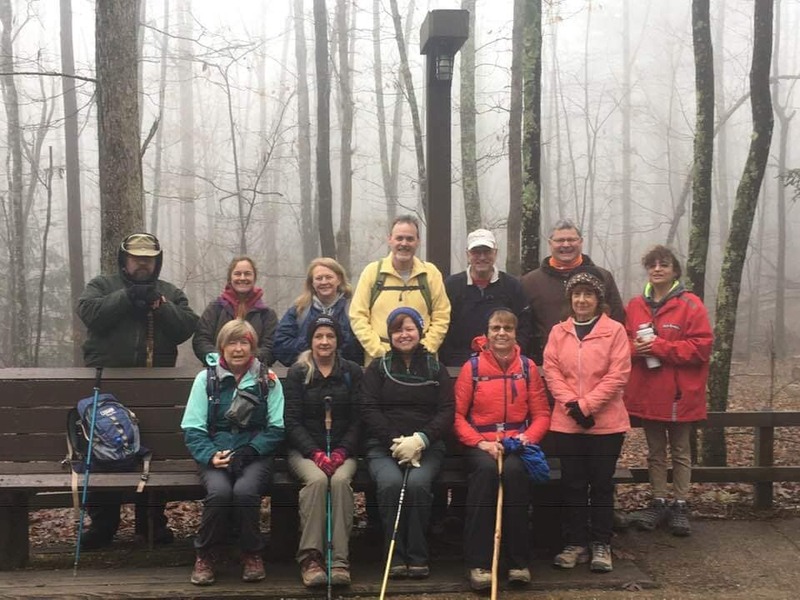 Hikers were Sara Pollard, Marietta Poteet, Lora McBride, Glenda Brewster, Sigrun Watson, Wayne Yancey, Jay Brain, Pete Broehl, and Mike Griffin. Cynthia Meinerding and her two dogs joined us later on the hike. We had a good turnout from several TTA Chapters including Murfreesboro, Nashville, and East TN. I'm probably leaving out some of them but if so, no slight is intended. (Old timers disease) We also had some present from the Friends of Edgar Evins State Park as well as individuals and families from the public. 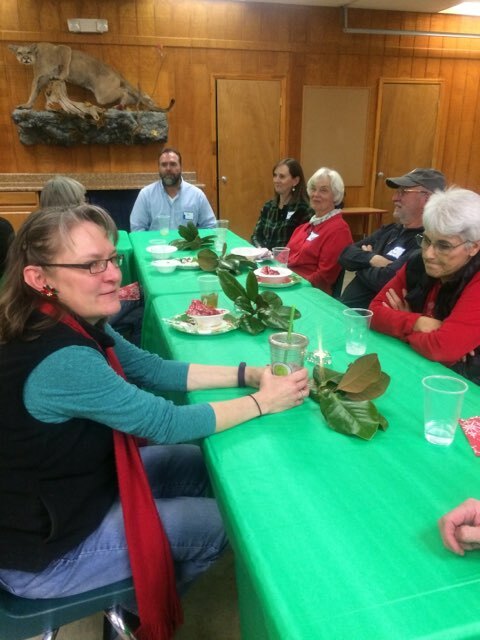 We had 14 chapter members and 7 guests at our annual Christmas party. Tables were decorated with magnolia leaves and candles. It was all about the food and fellowship though. Some highlights on food were Fount’s famous deviled eggs, Hazel’s homemade peanut brittle, and Jay’s swamp stew. All the food was outstanding and it was great sharing the holiday season with our members and guests. A special guest was John Ruth of the Sumner Trails chapter who drove in from Gallatin. Members attending were Anna Bertram, Fount Bertram, Jay Brain, Jeanne Conaster, Pete Jacobs, Renee Jacobs, Tony Jones, Sara Pollard, Lindsey Smith, Rad Smith, Hilda Vaughan, Nabil Wakid, Wayne Yancey, and Jennifer Zahn. Guests were Steve Pollard, Georgeanne Ross, John Ruth, Hazel Smith, James Smith, Lacey Wakid, and Gayle Yancey. This Saturday's hike was great. Four others came, two from Nashville, one M'boro, one Huntsville. We did close to five miles in almost perfect weather. Did all three loops. gorgeous trees, flowers, and awsome sink holes. The meeting at Land Between the Lakes was awesome. It was held a Brandon Springs. 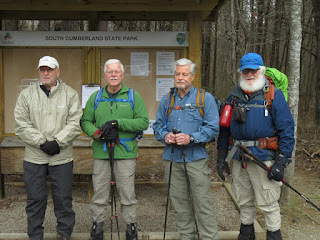 The Clarksville Chapter did a great job of organizing it and we had over 100 hikers from across the state to attend. Jim Poteet did a presentation Saturday evening highlighting the TTA's 50th Anniversary. There was cake and punch afterwards. Attending from our chapter was Sara Pollard, Jan Safavi, Craig McBride, Patty and Geoff Hull. Click the logo to visit the TTA website.